Your Kairos Logistics Checklist has been sent to the email you provided. Please allow 10-15 minutes for that email to arrive. But before you go, there’s something we’d like to talk to you about. For many of your Kairos retreatants, this may be the first time anyone has taken the time to introduce them to Christ. For some of them...this may be the last time that happens. As a Kairos leader, you’re spending between two and three months organizing this four-day retreat for these kids. Make it the retreat that transforms their lives. Are you sick of watching students come back on a high from your Kairos retreat, only to come down a few weeks later, essentially unchanged? Fed up with trying to get them to focus on why they’re there in the first place? 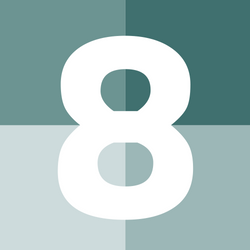 As of 2013, the average attention span of a teenager is 8 seconds. That’s according to the National Center for Biotechnology Information. So even after you collect their permission forms, organize the logistics of their travel, meals, and lodging, pry their phones from their clutches, and have them as a captive audience for four days, you have their attention for...8 seconds? Now, of course their attention span is actually a little longer than that. Keeping them focused for a four-day retreat can be a challenge. The fact is, simply offering a Kairos retreat isn’t enough. It’s not enough to check the box. To optimize your retreat and ensure you're turning over every rock to make sure it's as impactful as possible, you need a little backup. You need a tool kit. Here at Ascension, we’re blessed to know dozens of the most experienced and talented youth experts, campus ministers, and retreat coordinators in the world. Among them are Kairos leaders who have spent years putting on and perfecting the Kairos retreats at their own schools. 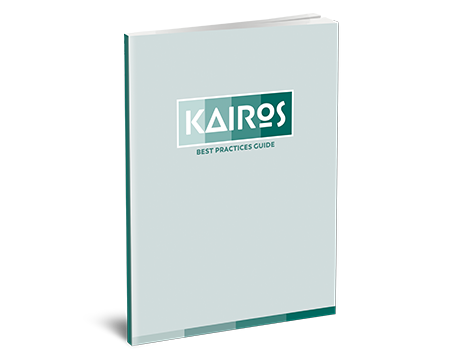 We brought them together and collected their combined wisdom into our Kairos Best Practices Guide. The not-what-you’d-expect insight into pairing student and adult small-group leaders. 5 Key Elements to Spiritual Preparedness to arm you on retreat. Two basic principles for guiding teens in giving their testimony to ease their anxiety and guide their preparation. 8 Kairos-related assignments that will boost your student leaders’ excitement for retreat and deepen their small-group sharing. How to impress on your teens Christ’s perpetual availability to us in the Blessed Sacrament. Practical suggestions and simple pointers for common Kairos retreat exercises. Now, you might be thinking that you can figure this all out on your own. But what we heard from the Kairos leaders who put together the Kairos Best Practices Guide were stories of running into roadblocks, hitting obstacles, and encountering problems that took time and energy (and sometimes money) to resolve. Our advice? Don’t reinvent the wheel. Well, none of our Kairos leaders would claim to be a giant...but with the Kairos Best Practices Guide, they’re offering to let you stand on their shoulders. You can pick up a copy right now for only $14.99. Get a high-five from the principal in the hall when he sees the change in your students after they come back from retreat. Save time on the planning and prep of your retreat and cruise through that last week before retreat, confident that everything’s been taken care of. Avoid frustrating (and potentially embarrassing) problems during your retreat. Click the “Add to Cart” button, and enlist the help of our Kairos experts now.